Playa del Secreto translated to English is "The Secret Beach"
Turquoise water and a beautiful white beach scattered with a couple dozen beach homes and luxury villas... It's our SECRET and we are inviting you! North and South Playa del Secreto; the beach is perfect for walking takes about 30 minutes to walk from one end to the other and since there are only 18 beach front villas in Playa del Secreto you will have the beach to yourselves. Each spring the Playa del Secreto's Turtles return to lay eggs where they were born. As a community we have worked together to protect the turtle eggs from vandalism as a result we have the 2nd highest concentration of Sea Turtle nest in the Mayan Riviera. We have become a favorite spot for brides to marry on the beach with room for 100+ of your friends and family in the neighborhood rentals. A Safe place to bring your Family and Friends. Playa del Secreto serine tranquil vacation spot away from the hustle of the neighboring resorts, perfect place to reacquainted with family and friends. WANT A WEDDING ON THE BEACH? - You have found the right place for your Unique Destination Beach Wedding! We are so SECRET that you won't be bothered by Unwanted Spectators whereas at a Resort your Wedding is the focal point of anyone whom walks by. Mexico's Newest Micro Destination A small tranquil residential community located on a mile and a half of "Secret Beach"
A SAFE gated residential neighborhood; choose from luxury beach front vacation villa rentals, traditional family beach home rentals and one and two bedroom condos. We love living in Playa del Secreto and want to tell the world all about it! It's Safe!We have a gatehouse with guard 24/7 so only those with a valid reason enter our neighborhood. We're Easy to Get To!Playa del Secreto is located between Cancun and Playa del Carmen only one turn off the main highway from the airport so you won't get lost getting here. We're Convenient!Playa del Secreto is Handily located right off the main highway; all the major Mayan Riviera sightseeing activities are no farther than a 50 minute drive from here and some as close as 10 minutes. We're Secluded!Since we are a residential community you won't be fighting with tourist staying at resorts for a spot on the beach. It's Tranquil!Really Really Tranquil. It's a perfect spot to relax and read that favorite book because it's quiet and peaceful, not like resorts with piped in Music and with other guest you don't know in the lounge chair right next to you. Something for Every Group Size!With neighborhood Vacation Rentals from One Bedroom Suites perfect for a couple to Large Multi-Bedroom Villas that will hold 30 to 50 people. In fact you can RENT the NEIGHBORHOOD for groups over 200 people. Something for Every Pocketbook!We have some of the truly Ultra High End Luxury beach front vacation villa rentals available in the Mayan Riviera, and at the other end we also have some very economic one bedroom studio suites perfect for the budget conscious single or couple and in-between we have a number of beach front villas large enough for 2 families to share and split the expense. Make your own Vacation!Don't like being tied down to a resorts time table, a resorts food offering, sharing a pool or pool side area or group activities with people you don't know; then it's time you tried staying at a vacation rental where it's your timetable, your music and your food choices because it's YOUR house for the week you are renting it. We have Services!Want the privacy and independence of renting a vacation rental gives you, but don't want to cook, clean, shop or find or schedule your activities; you don't have to! Many of Playa del Secreto's vacation rentals offer you a full line of services from a private chef and daily maid service, grocery delivery service to full on-site concierge services to schedule your activities or if you prefer the individuality of doing it yourself you can opt for that. We're Child Friendly!Playa del Secreto has been a hotspot for the family vacationers for years the beach and ocean are perfect for kids. A vacation rental is a great choice for a family; unlike a resort when the kids are tired and it's time for them to go to bed which translates to you also have to end your night and stay in the room with them; with a villa rental the kids have their own bedroom, they go to bed and you have the evening to have a grown-up dinner and cocktails. Double click on markers to see a description. Villa Food Catering Service We might not have any restaurants here in Playa del Secreto but that doesn't mean that you have to get in your car to go eat every night. Playa Secreto's Chef at Large Chef Miguel will be happy to cook dinner for your group and deliver it right to your Playa del Secreto Vacation Home. 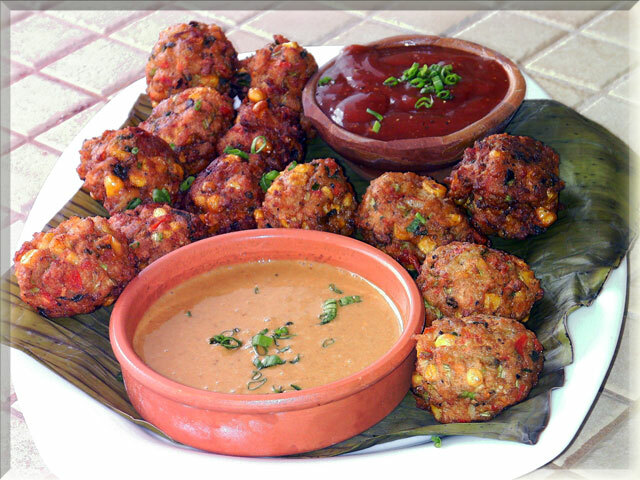 His Dinner menu options range from Mayan regional selections, Mexican and Caribbean cuisines taking full advantage of the fresh Fish, Seafood and Pork the area has to offer. On-Site Spa & Massage Service Relax, you're finally on vacation, and there is no better way to relax than massage pool side. 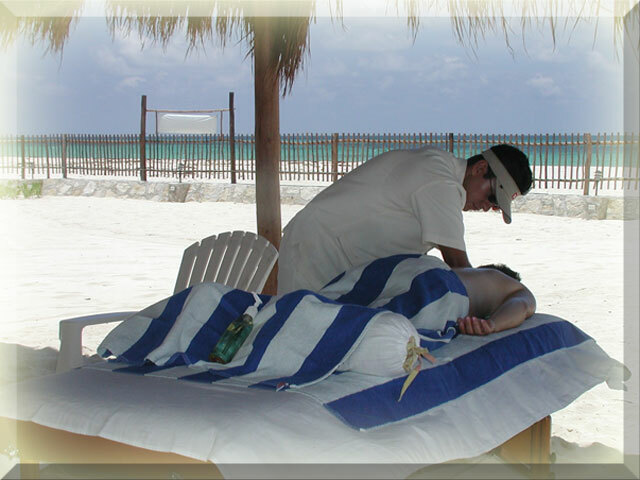 White Heath Spa comes right to your Playa del Secreto Vacation Rental. The technicians are all Licensed Certified Massage Therapist, they use only natural products, and offer a wide variety of services including: all types of massage, facial, manicure and pedicure. Private Cooking Class in your Vacation Rental Are you a Foodie seeking to combine fun, food and sandy beaches with an afternoon and evening of culinary adventure? 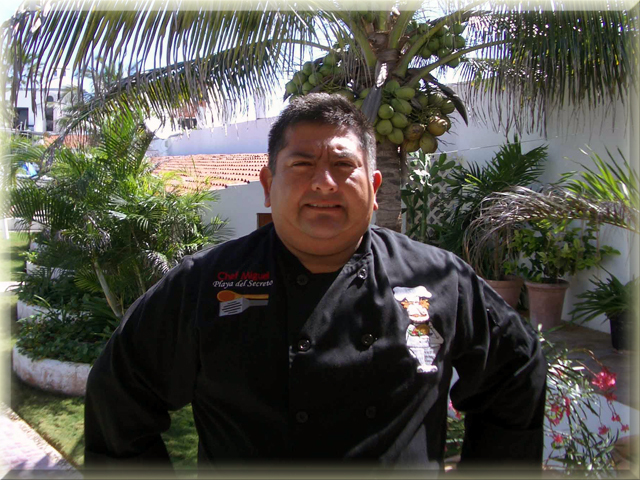 Chef Miguel will come to your Playa del Secreto Vacation Rental and teach you some of the Popular Mayan or Local Mexican Caribbean Dishes. It's a fun interactive afternoon of cooking and the best part is, afterwards you sit down to a dinner you have just prepared. Where is Playa del Secreto? 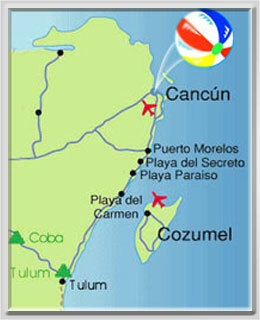 Conveniently located 15 minutes from the Cancun Airport and 20 minutes from Playa del Carmen's tourist area. Witness what is happening on the Riviera Maya, where beaches that have long played second fiddle to gleaming Cancun are now booming. Playa del Secreto is one example. Located between Puerto Morelos and Playa del Carmen and a nesting ground for sea turtles and crabs, it is focusing on residential development rather than hotels as a way to care for the sea animals and protect it's ecosystem. VIP Airport Transfers Transfer in Private van includes bottled water, soda or beer and your greeted with a refreshing cold towel to freshen up. Airport Transfers Transfer in Private Van. Driving Directions from Cancun International Airport. Exit out of Airport keep to the right. You will approach Highway 307. Follow signs directing South on Highway 307, toward PLAYA DEL CARMEN. You will travel over an Overpass at the Moon Place Resort and again at Puerto Morelos. After you pass Puerto Morelos watch for the kilometer markers on the right side of the highway. When you pass kilometer marker 314 you will pass El Dorado Royale resort on your left. Move to the left lane now. You will see the Playa del Secreto road entrance on the other side of the highway (left), at this point slow down. You will see Valentin Spa and Resort, use the Resort Entrance (small ramp with orange barriers) to cross Highway 307. Don't turn into the resort entrance, Head South, Ease Back on the Highway 307 stay as far to the Right as you can. Turn into the Playa del Secreto entrance road, about ¾ of a mile down you will arrive at the gatehouse, tell the guard which vacation rental you are expected at and he will let you in. Worried about being covered when renting a Vacation Rental if something happens? Here is Trip Insurance that will cover your Vacation Rental Expense and even offers optional coverage like Cancel for Any Reason and Medical Evacuation back Home or even Cancellation due to Job Loss or Hurricane!